Extend your time in Cancun and the Riviera Maya by applying for one of the TBEX Cancun FAM Trips. The trips are all offered September 14-16, include pick up from your hotel and return to the airport (depending on your flight time), 2 nights hotel accommodations, meals, and a variety of activities that should allow you to create editorial content for your blog. There are four FAM trips offered and selection is by application only. These are for bloggers only, no industry attendees or plus-ones will be accommodated. Read the itinerary of each FAM trip to determine which one(s) interests you. You will be able to select and first, second, and third choice. Fill out the application form in its entirety, including relevant social media information. Explain the angle of the editorial content you are most interested in on the trip. Explain how the activities or destination is relevant to your audience. Please indicate if you have any physical limitations or dietary restrictions so these can be planned and accommodated in advance. Take a look at what’s in store for you on these FAM trips. Guests looking for off-the-beaten path experiences will love exploring the island of Holbox. Located 40 miles North West of Cancun, Holbox is a small fishing village that is separated from the mainland by a shallow lagoon, which gives sanctuary to thousands of flamingos, pelicans, and other exotic birds and creatures. Holbox is key to the Yum Balam ecological reserve, which is protected by international regulations and its topography combines rainforest, virgin beaches, lagoons, cenotes, and rivers. One of Cancun’s most popular day-trip destinations, Isla Mujeres is an enchanting island just a short ferry ride away from Cancun’s mainland. Visitors will spend two days exploring the island of women, named after Ixchel, the Mayan goddess of fertility, medicine, and the moon. A trip to this beautiful island would not be complete without a visit to Garrafon Park, Punta Sur and a snorkeling trip to the Underwater Museum, home to hundreds of underwater sculptures that double as a complete coral reef system. This action-packed trip will feature a variety of adventure activities like zip lining through the Mayan jungle and swimming in the crystal waters of cenotes. 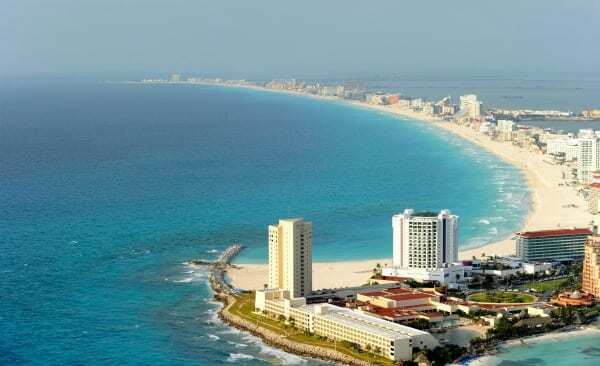 Because Puerto Morelos is the largest and most important sea port in the state of Quintana Roo and it is in close proximity to the Mesoamerican Barrier Reef – the second largest in the world – this trip will also include a fishing expedition in the waters of Cancun. Because of Cancun’s proximity to some of the world’s most renowned ruins, this trip will focus on the region’s Mayan culture. This exciting trip will feature some of the most famous and breathtaking Mayan sites in the region, including Tulum, the only Mayan site situated oceanfront. We will also visit the Cancun Maya Museum and Coba, home to Nohoch Mul, the tallest Mayan pyramid in the Yucatan. Click through to read longer descriptions and a full itinerary of each of these FAM trips. Deadline to apply for these TBEX Cancun FAM Trips is August 21st, midnight Pacific Time. Invitations will be sent to selected applicants on August 25th. The deadline to apply has been extended to Sunday, August 24th at midnight, Pacific Time. With the addition of this additional FAM trip, we wanted to give people time to apply and/or switch their preferences.